Steel Series has a penchant for giving gamers lots of quality hardware to enhance their gaming experience. However, there’s always room for improvement, and such was the case the Siberia V2. While it wasn’t a bad product, a little tweaking can go a long way. 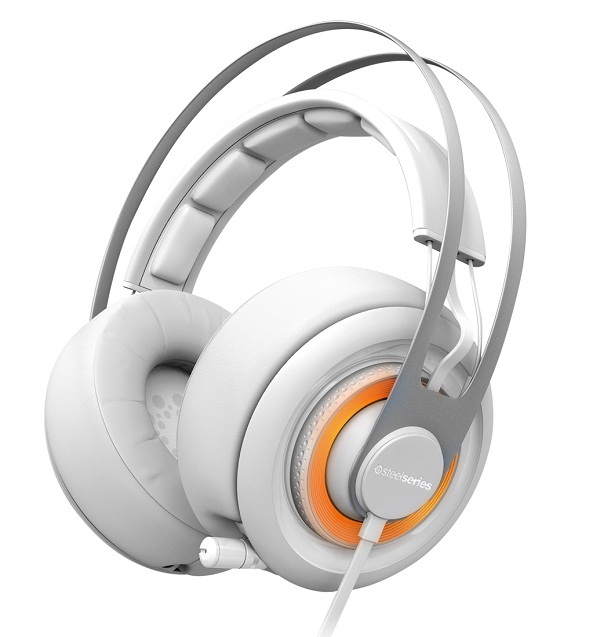 The Siberia Elite is a masterful reworking of a really awesome headset. Having used its predecessor in the past, I can vouch for its functionality, and am excited to see how this one will compare. It uses a self-adjusting suspension design along the top so that it won’t bare down too much and give you a headache as most headsets often do, and the mic is retractable. The earcups look to be far larger than before, and are made of hand-stitched leather and memory foam so you can keep gaming on in comfort. Steel Series has updated their drivers, will give you virtual 7.1 surround sound, and have dials on the sides to control volume and mute the microphone. As we’re all a big fan of shiny things, they put lights on the sides of the earcups that have up to 16.8 million different color combinations. While no price is listed yet, you can bet it will be cropping up soon.